Commissioner Malmström’s proposal for an Investment Court System in the transatlantic trade agreement relies on the argument that it is a ‘public court’. However, Natacha Cingotti argues there is no need for special investors’ privileges and tribunals in TTIP. Natacha Cingotti is a trade campaigner at Friends of the Earth Europe. When EU Trade Commissioner Malmström released her proposal for an investment chapter in a future Transatlantic Trade and Investment Partnership (TTIP) last November, it was largely welcomed by media commentators and politicians. Bernd Lange, chairman of the EU Parliament trade committee, hailed it as “the only way forward for the EU’s trade policy and the last nail in the coffin for ISDS”. It may have seemed to kill off the hotly contested investor-state dispute settlement mechanism (ISDS), but in reality it simply re-emerged from the ashes under a different name – the Investment Court System (ICS). Luckily, as the EU and the US resume talks this month on the investment part of the trade agreement, the ICS should fool no-one. In recent months, several prominent judges’ associations have come out against the proposed ICS. Right after the European Commission’s announcement, the European Association of Judges expressed “serious reservations”, including doubts about the EU’s legal competence to establish such a system, and severe criticism about the lack of independent safeguards for the pool of proposed ‘judges’. In the same vein, a few days ago Germany’s largest association of public judges and prosecutors – the Deutscher Richterbund, which brings together 15,000 of Germany’s 25,000 judges – publicly rejected the EU “Investment Court System”, questioning its legal basis and the EU’s competence in its establishment. The judges argue that even if the current protections offered to foreign investors in EU member states were deemed too weak, creating special tribunals is the wrong way to address the matter. These breakthrough announcements deal a serious blow to the European Commission’s efforts to fool hearts and minds. Commissioner Malmström’s proposal for an Investment Court System has relied on the argument that it is a ‘public court’, based on democratic principles. The judges countered that by saying that ICS provisions “do not meet minimum standards for judicial office”. And they went further, questioning an even more fundamental issue: is the proposal legal in the first place? 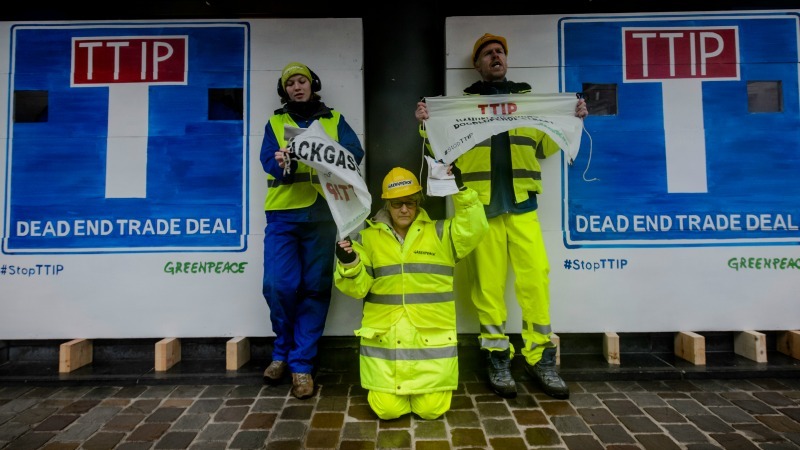 The judges underline an important point that civil society groups, like Friends of the Earth Europe, have made in unison: there is no need for special investors’ privileges and tribunals in TTIP, full stop. This unexpected twist is too important to be ignored. When prominent judges question the legality of the Commission’s plans, and their impacts on the existing court systems, there is clearly an urgent need to reassess. A natural starting point would be to ask the European Court of Justice to look into the legality of including any form of investor-state dispute settlement in the upcoming EU-Canada CETA – the next EU agreement in the pipeline. Meanwhile, the inclusion of the Investment Court System in TTIP should at worst be moth-balled, or far better scrapped completely – in accordance with the majority of public opinion. With judges, civil society and citizens united against establishing private courts for foreign investors as part of the TTIP negotiations, the European Commission needs to accept it is fooling no-one.